Womens sublimated lacrosse shorts are 100% micromesh polyester material. Design online using one of our stock patterns or call us for special design request. Side accent with unlimited color choices. Design womens lacrosse shorts here! Item is made without pockets unless specified otherwise. Sublimated and avaiable in any color, pattern or style. 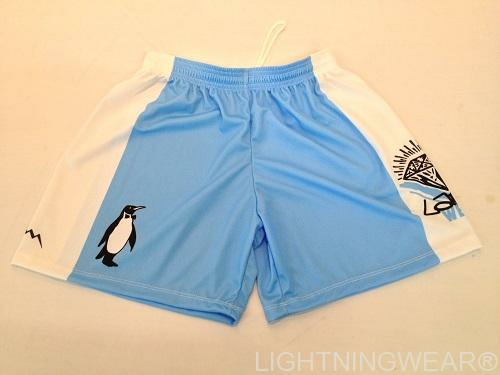 Be sure to check out our blog pictures of lacrosse shorts we have done for womens teams. View pictures of womens and girls lacrosse shorts here. 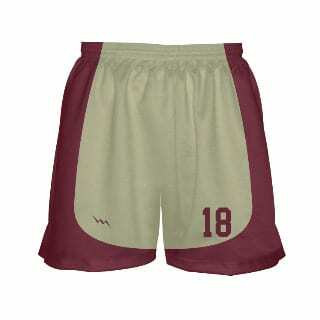 Womens lacrosse shorts turned out great for our team. We noticed sizes were true to form. For girls that are unsure you should tell them to go up one. Thank you for the fast delivery. The girls lacrosse shorts with flowers were the talk of the fall tournament. Great work.